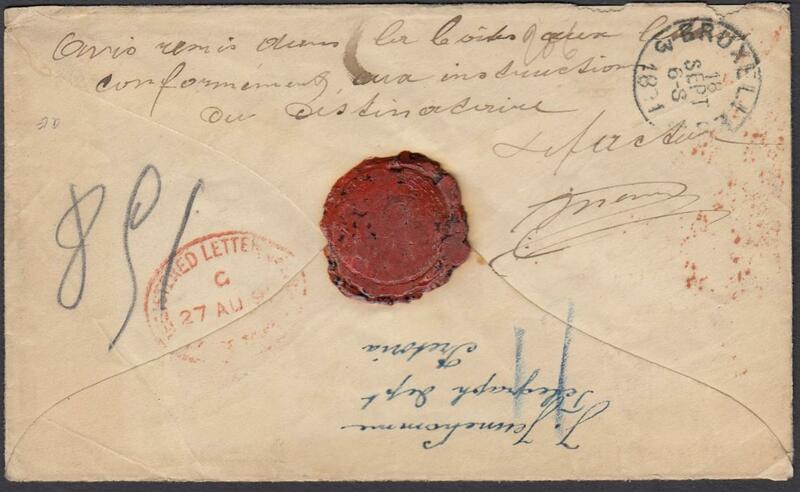 1873 (7 Avril) outer letter sheet to Landskrona, Sweden bearing single franking 40c. tied Anvers cds, framed 'P.D.' below, at left red accountancy handstamp 'Wfr. 1 1/2', arrival backstamp. 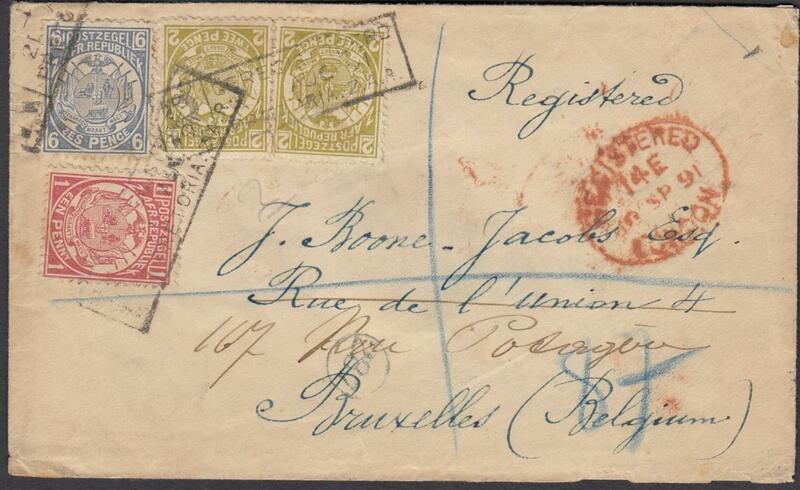 1897 envelope franked 25c with tab, cancelled 'BRUXELLES', addressed to the Russian Imperial Palace at St Petersburg. On reverse, the rare 'ST PETERSBURG CHANCELLORY' date stamp.